Round and Flat brush assortment. 24 each of 1/4", 1/2" and 3/8". Perfect for arts, crafts and hobbies. 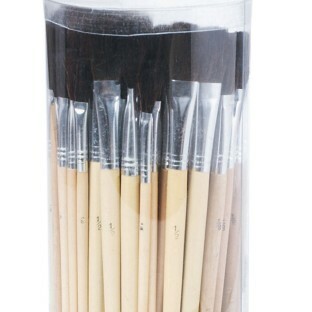 Best brushset for a reasonable price! Bought these for my summer art program and thrilled with the result! This set gives you a large variety that's enough for a whole class! A few ranges of sizes that are not too wide but not extra fine. 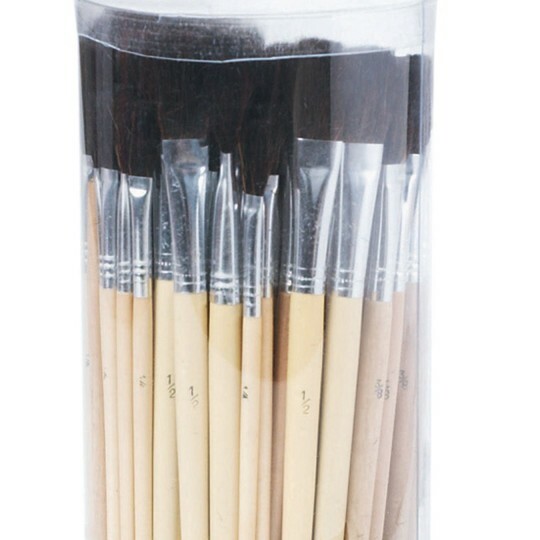 They clean easily and and are perfect for a variety of projects such as painting decoupage spreading glue etc. Perfect for acrylic paints and paper. Only use with children under 8 yrs. old and not meant for precision. Easy for arthritic residents to hold clean-up easily good for medium to large projects.